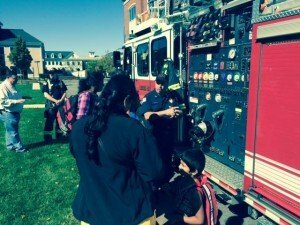 Our annual fire prevention event moved from an open house to the open…at the Plainsboro Public Library and around the Plainsboro Market Square. 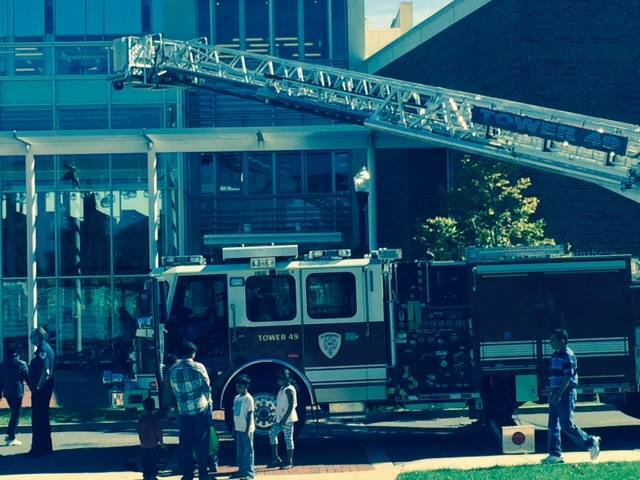 Thanks to Plainsboro Librarian Carol Quick and her staff and Township Administrator Anthony Cancro and the Plainsboro Police Department for helping us coordinate a successful day. 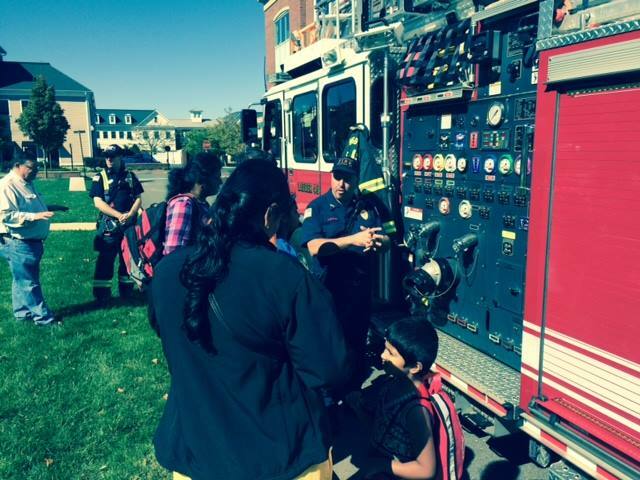 Also, thanks to Middlesex County Fire Coordinator Michael Gallagher and the staff of the Middlesex County Fire Academy for bringing the Fire Safety House, which was a big hit with the kids…and their parents. 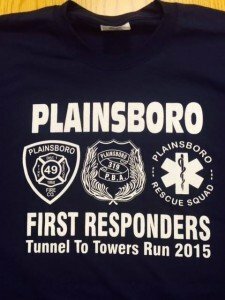 PLAINSBORO – A team of Plainsboro firefighters, police officers and EMTs will be running in the annual Stephen Siller Tunnel to Towers 5K Race/Run on September 27 in New York City. The race honors New York Firefighter Stephen Siller, who ran from Brooklyn to Ground Zero through the Brooklyn Battery Tunnel on September 11, 2001 where he was killed in the line of duty. 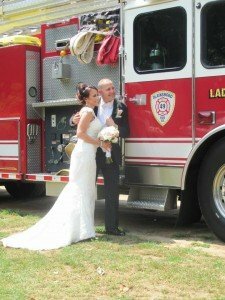 Funds raised by the Siller Foundation help first responders and their families, children who lose parents and support the construction of adaptable homes for returning wounded warriors. 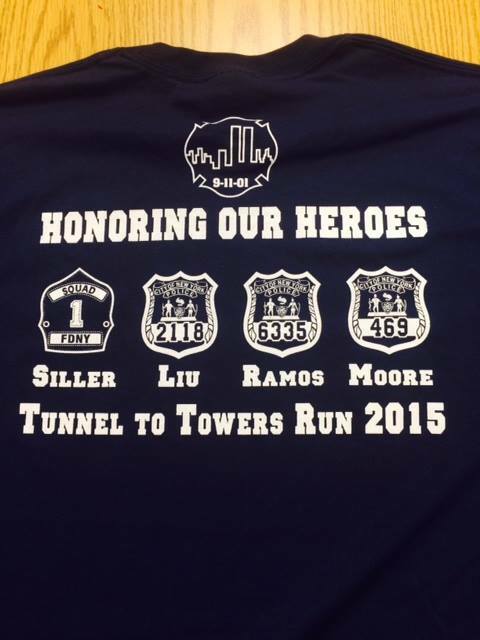 Runners and walkers begin in the Red Hook section of Brooklyn and end near Ground Zero. 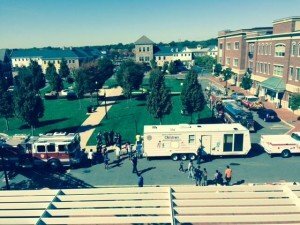 In recent years, an estimated 25,000 people took part in the event. 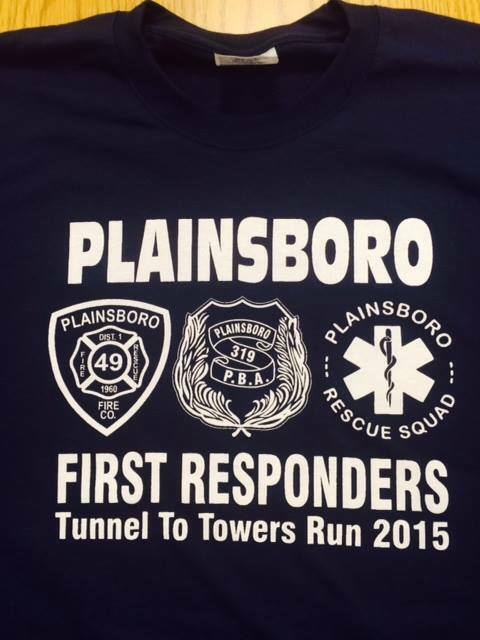 The Plainsboro team is offering its race t-shirt for sale for $20 at 1st Constitution Bank, 11 Schalks Crossing Road in Plainsboro and at the Plainsboro firehouse at 405 Plainsboro Road between the hours of 7 a.m. and 5 p.m. E-mail orders will be accepted at contactus@plainsborofire.com. 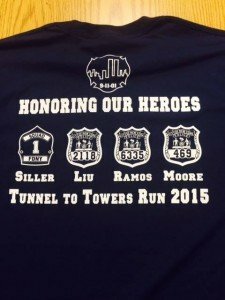 The team shirt honors Siller and also NYPD officers Liu, Ramos and Moore, who were killed in the line of duty in 2014 and 2015 and whose families received Siller Foundation support. 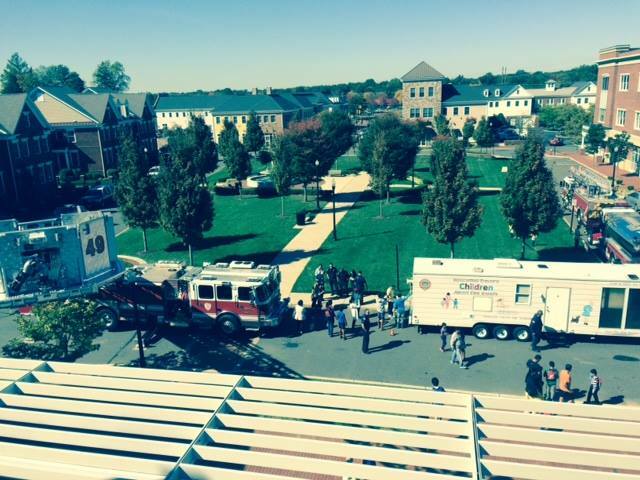 The Foundation paid off the mortgages on the Liu and Ramos family homes. 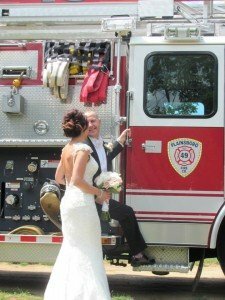 Additionally, anyone wishing to make a donation to the Foundation in the name of the Plainsboro Team may do so by going to https://www.crowdrise.com/T2TNYC , clicking on DONATE and using the pull down menu to highlight the Plainsboro First Responder team. 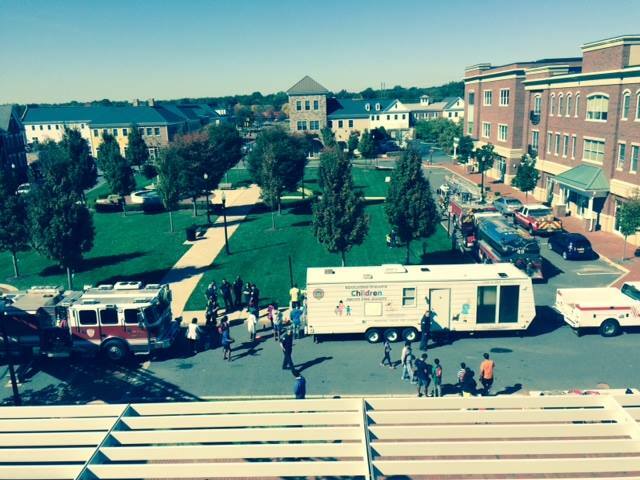 For more information, call 609-799-0492. 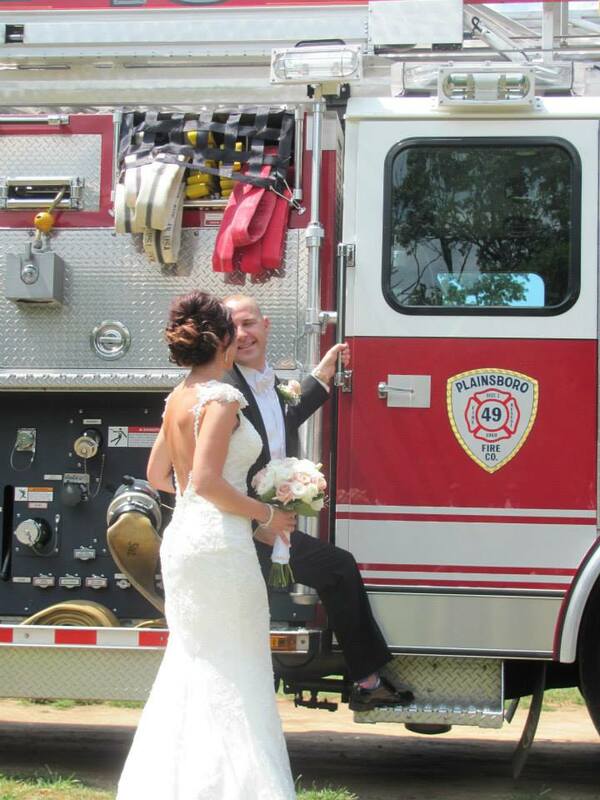 PLAINSBORO – Plainsboro firefighters will mark 9/11 with a car wash on Saturday, September 12 to raise money for two volunteer firefighters who were injured in car accidents. 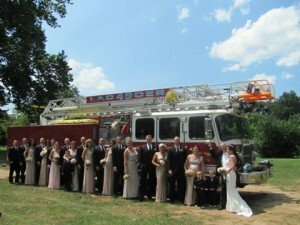 In cooperation with the Terry Farrell Firefighters Fund, named for the 9/11 FDNY hero, proceeds from the fire company’s annual 9/11 fundraiser will support the Farrell Fund and help defray expenses for West Windsor Volunteer Firefighter Michael Martinez and Dingman Township, Pa. Volunteer Firefighter Chris Plaxe. 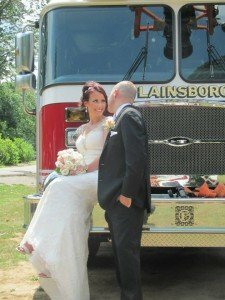 This is the second year funds will go to Firefighter Plaxe, who suffered traumatic injuries in a car accident while responding to a call and is paralyzed from the chest down. The Terry Farrell Firefighters Fund has already provided funds to Plaxe. The car wash will take place on Saturday from 9 a.m. to 3 p.m. at the firehouse, 405 Plainsboro Road at the corner of Prospect Avenue. 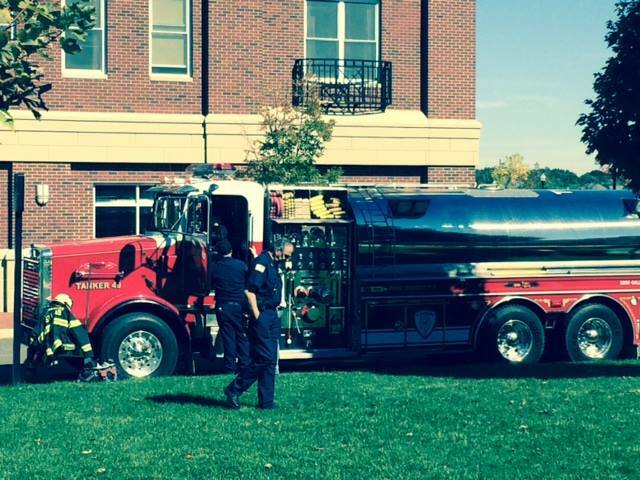 Rain date is Sunday, September 13. 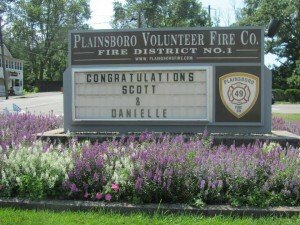 Patrons of Plainsboro food establishments will also be asked to donate to the fund and deposit their contributions in a firefighter’s boot. 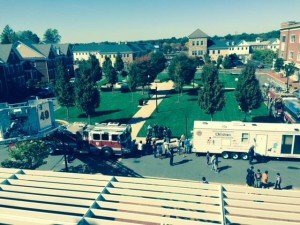 It’s the fifth consecutive year the fire company has sponsored the car wash as part of its commemoration of 9/11 to support the Terry Farrell Firefighters Fund, which provides financial support to help firefighters, firefighters’ families and fire departments meet educational, medical and equipment needs. 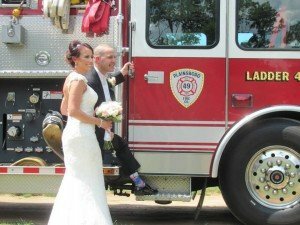 The fund is named for Terry Farrell a New York firefighter killed in the line of duty on September 11 at the World Trade Center in New York. Congratulations Assistant Chief Scott Kivet and Danielle Cianci on your wedding on August 1, 2015. Best wishes for many years of good health and happiness. 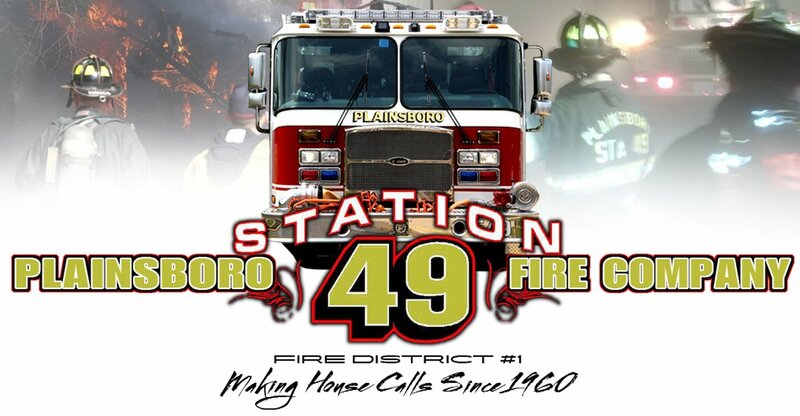 Station 49 responded to a working structure fire at Building 2 Deer Creek late this afternoon. 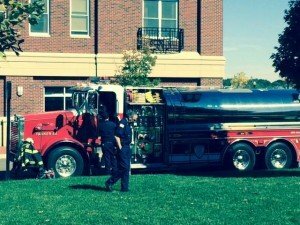 Two minor firefighter injuries. 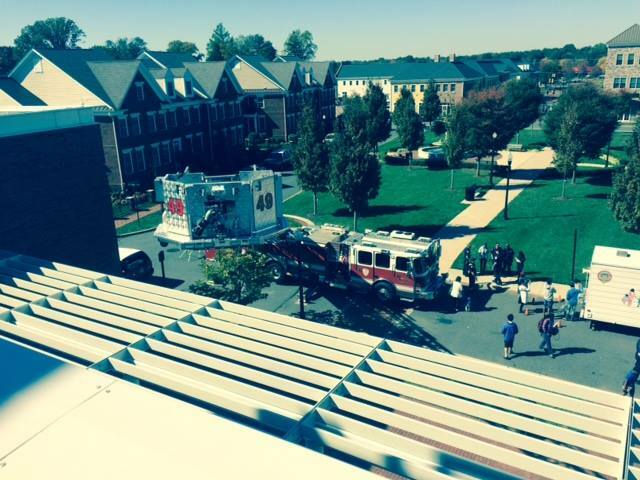 No civilian injuries, but heavy fire damage to three units. Smoke, water and related damage to five units.